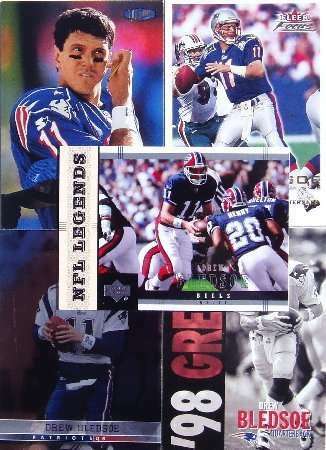 20 Assorted Drew Bledsoe Football Cards In Protective Acrylic Snap-Lock Case. A great assortment of cards in nr.mint condition. No duplicate cards in any one lot.